As Anthony Robbins said, “if you do what you’ve always done, you’ll get what you’ve always gotten”. Improvement is always possible. Variations include “that’s how it’s done”, “the client likes it that way”. This is a demotivator and shuts down any chance of innovation or creativity. 2. That working on a team makes you a team player. 3. That it’s about the product, not the customer service. It takes 12 positive experiences to make up for one unresolved negative experience – “Understanding Customers” by Ruby Newell-Legner. 4. That you need to multi-task to get everything done. Wrong. According to Gary Keller, “You can do two things at once, but you can’t focus effectively on two things at once.” According to Health.com it actually makes you LESS efficient. Read their post on surprising reasons to stop multitasking now here. The New York Times has an online experiment on this. Take it and let us know your results! Click here. 5. K-I-S-S (Keep it Simple, Stupid). 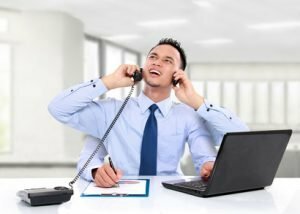 Not replying to emails from colleagues, being curt (unintentionally or not) or not giving enough information can have repercussions for your reputation and affect how you’re perceived. Not being self-aware is a huge problem in some workplaces. Read more on how a message can get lost in business here. Explain, keep it to the point, be polite. Don’t over-complicate something and don’t withhold information. Always ask yourself “have I stated my message clearly?”. Determine your general purpose: are you trying to inform, persuade, entertain, facilitate interaction, or motivate a reader? Determine your specific purpose (the desired outcome). Make sure your purpose is realistic. Make sure your timing is appropriate. Make sure the message reflects positively on your business. Determine audience knowledge and awareness of topic. Make sure the information provided is accurate, ethical, and pertinent. Have you got more suggestions? Get in touch on Twitter, we’d love to hear from you. Why not take our eLearning platform for a test drive?